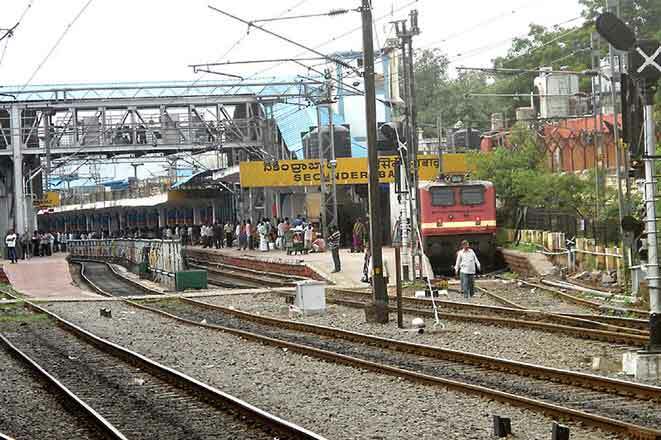 Hyderabad: In order to clear the extra rush of passengers, South Central Railway will run two special trains between Secunderabad and Kakinada Town via Guntur, Vijayawada and Bhimavaram Town. Accordingly, Train No 07075 Secunderabad – Kakinada Town special train will depart from Secunderabad at 7:20 pm on March 23 and reach Kakinada Town at 7:45 am the next day. In the return direction, Train No 07076 Kakinada Port – Secunderabad special train will depart from Kakinada Town at 8.05 pm on March 26 and reach Secunderabad at 8:25 am the next day. En route, these special trains will stop at Nalgonda, Miryalaguda, Piduguralla, Guntur, Vijayawada, Gudivada, Kaikaluru, Akividu, Bhimavaram Town, Tanuku, Nidadavolu, Rajahmundry and Samalkot stations in both directions, according to an SCR release.